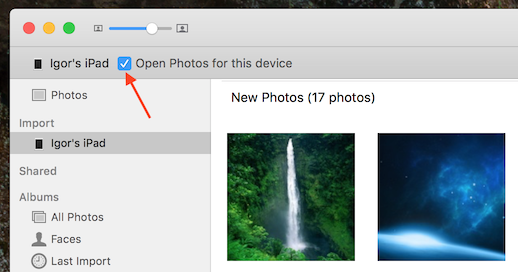 OS X 10.11 El Capitan has a great new Photos app to replace iPhoto, but it has one very annoying feature. Every time an iPhone/iPod/iPad is connected to the Mac, Photos opens and asks to import photos from the connected device. There is a way to switch this off however. After this is done Photos will no longer open when that device is connected. If you want to do this for more than one device, repeat the steps above for each of the devices.